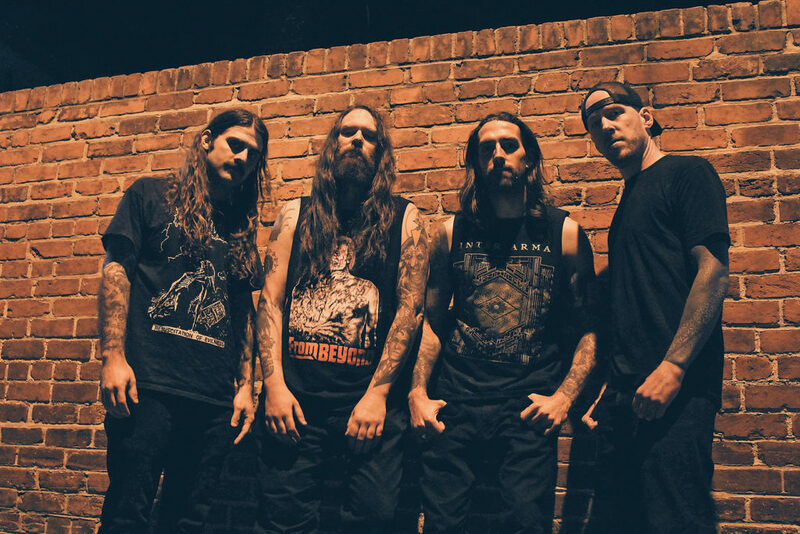 Arizona’s SPIRIT ADRIFT heads back out on the road this week on a new headlining North American tour across the country to play at this year’s Migration Festival and Psycho Las Vegas. 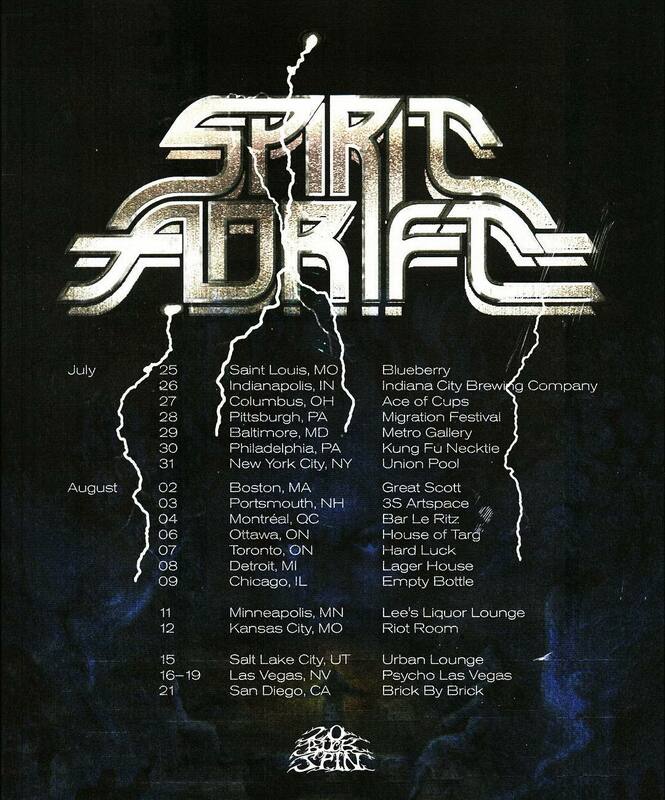 Following their spring tour which included a performance at the Decibel Magazine Metal & Beer Fest and several dates with Pallbearer, the new SPIRIT ADRIFT tour begins July 25th in Saint Louis followed by gigs in Indianapolis and Columbus before hitting Pittsburgh for Migration fest where they perform with Zombi, Mournful Congregation, Pelican, Bongripper, Krallice, Deadbird, Khemmis, The Ominous Circle, and many others. Featuring members of Gatecreeper, Goya, and more, SPIRIT ADRIFT has taken their psychedelic doom/metal to an ascendant new level on their sophomore LP, Curse Of Conception. Now more than at any time metal has become the lifeblood of rock music and SPIRIT ADRIFT offers Curse Of Conception as an embodiment of that vitality. The album was engineered and mixed by Sanford Parker (Yob, Pelican, Eyehategod) and features artwork by Joe Petagno (Motörhead, Magic Circle, Autopsy). See a fan-filmed video of SPIRIT ADRIFT performing at the Decibel Metal & Beer Fest at THIS LOCATION and stream their entire Curse Of Conception LP HERE. Curse Of Conception is available through 20 Buck Spin worldwide on LP, CD, and digital formats; find the record at Bandcamp HERE, the label webshop HERE, and at iTunes HERE.